You might also forgive yourself for forgetting there was a cup final on whilst watching the cup final as the 2018 instalment certainly won’t go down in history as a classic affair. 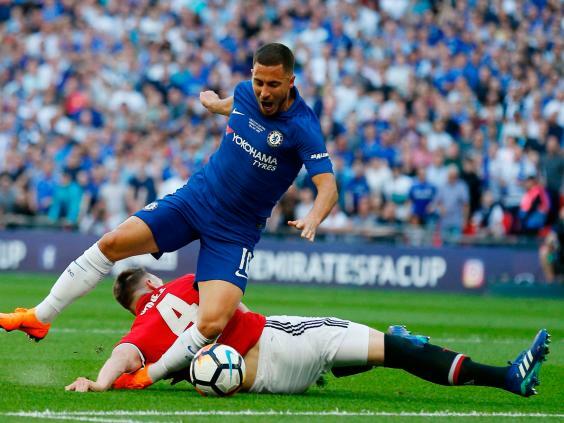 Manchester United took on Chelsea in the 137th FA Cup Final under the famous Wembley Arch at the weekend which was settled by an Eden Hazard penalty in the 22nd minute. The game started slowly with both teams trying hard not to concede early on. That was until Phil Jones completely forgot that he is an international defender and took the Belgian superstar down just as he was about to pull the trigger. Due to yet another bizarre ruling that the FA has brought in, the England man was not sent off for being the last man. He was instead booked under ‘double jeopardy’ as it was a clear attempt to get the ball, much to the amazement of the Chelsea players who were hoping that he saw red. England fans everywhere are praying that a repeat doesn’t occur when they meet Belgium on Thursday 28th June in Russia for the World Cup group match. Jones tried to redeem himself soon after but his far post header narrowly missed the target. Chances then came United’s way with Rashford going close and Sanchez having a goal disallowed for offside following a terrific fingertip save from Courtois. Nothing could break down that Chelsea defence and Marcus Alonso, who has just been snubbed by the Spain World Cup squad, showed why as he scuppered a golden opportunity to double the lead. Pogba also failed to live up to expectations as the multimillion pound man missed an absolute sitter. The corner was delivered by Martial who found the Frenchman on his own, unmarked on the edge of the 6-yard box but he couldn’t get it on target. Maybe if he spent longer practising headers rather than the barbers, it could’ve been a different story. It wasn’t to be for the Red Devils and Jose Mourinho fell to his first domestic cup final defeat in English football, not that he admitted he lost to a better team… Would it be Mourinho if there wasn’t a sly dig though? In the blue corner, all is not rosy on the managerial front either as speculation continues surrounding Conte’s future. 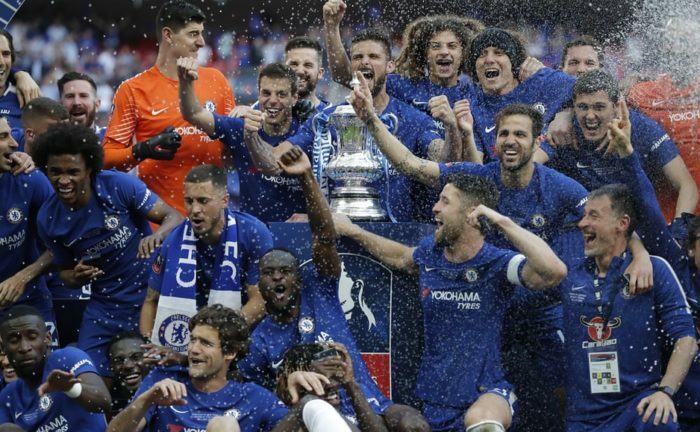 The FA Cup may prove not to be enough to keep him at The Bridge following a less than impressive Premier League campaign that saw them finish 5th, behind Champions League finalists, Liverpool. We apologise if it feels like every week is a Nadal week on the blog. The guy just cannot stop winning! 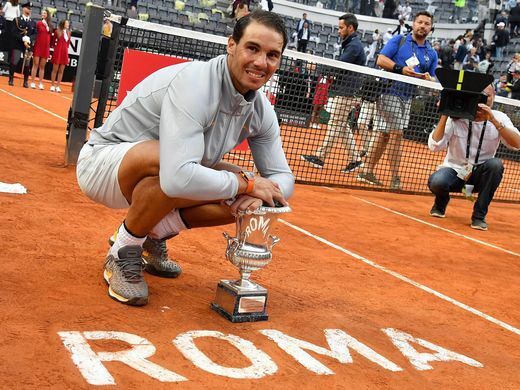 The Spaniard has now won a record (another one) 8th… yes, 8th Italian Open! With this, he has now returned to the World Number 1 spot. He first reached the top of the pile nine and a half years ago, since then he has claimed that honour 5 times. During his illustrious career, he’s spent 168 weeks at No:1. Only Federer (309), Pete Sampras (286), Ivan Lendl (270), Jimmy Connors (268), Novak Djokovic (223) and McEnroe (170) have spent longer at the top. Rafael beat Alexander Zverev 6-1, 1-6, 6-3 in a final that saw the defending champion win 9 out of 11 games after the first set to set himself up 3-1 in the deciding set. Ultimately, Nadal proved too much and asserted the title of King of Clay once again. Can no one stop this man?! If you want to gear up for the big summer of tennis, then head over to Net World Sports and spend over £100 to receive a free tube of Vermont Classic tennis balls. The 500-1 long shots are within touching distance of winning the Stanley Cup. Back in June of 2016, their owner, Bill Foley produced an absolute wedge of cash ($500m to be exact) to pay the NHL an expansion fee. This meant that his new franchise could enter and compete in the competition. It will be the first time in around 50 years that an ‘expansion team’ has reached the finals. Made up of the players deemed surplus to requirements by their old teams, the ‘golden misfits’ as they’re now dubbed are only a few games away from lifting the trophy. 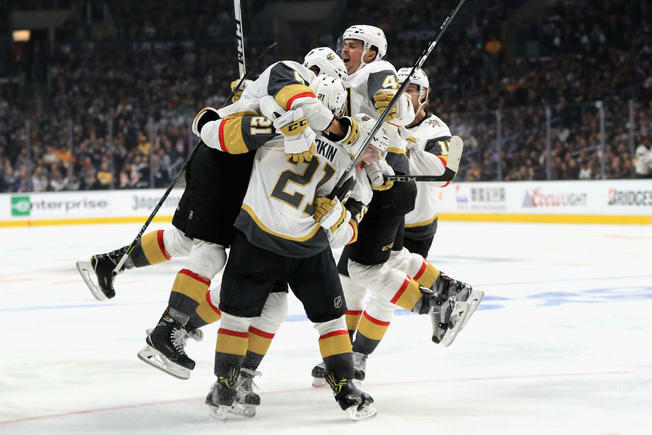 They will play either Tampa Bay Lightning or the Washington Capitals in a best-of-seven series final. I’m sure you’ll join me in wishing them all the best! It could be another Leicester City fairy tale! Maybe a Hollywood movie is on the cards?